Petit Echo (en) | M.Afr. The latest Petit Echo should already have reached you by Post. If you don’t have a personal copy or if you prefer reading it online, go to Downloads>Petit Echo and enjoy the latest issues. His tombstone, neglected and covered with moss, a bit sunken and at an angle, was discovered in 1975 in French Normandy. Once cleaned up, a dual entry was discovered: “Madame Barthélemy, born Louvel, 1841-1907” with below the name of our confrere: “Maurice Bellière, priest, Missionary of Africa”. 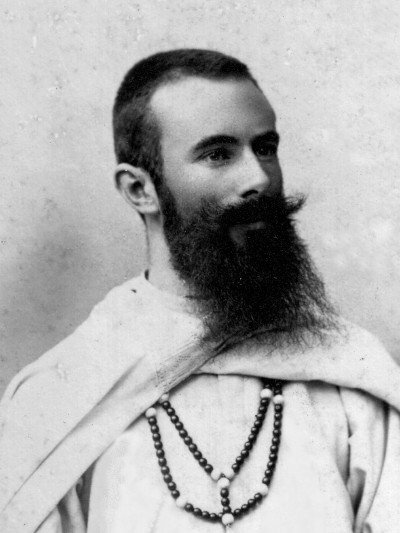 In our necrology, we do indeed find the name of Father Maurice Bellière, formerly a missionary to Nyasaland (today’s Malawi). He died on the 14th July, 1907, at Caen. Who was he? Forgotten? Then rediscovered? Here is the story of a life both tragic and moving. Maurice Bellière was born on the 10th of June, 1874, in Normandy, a region in north-western France. A week after his birth, his mother died. The father entrusted the baby to his sister-in-law, Mrs Barthélemy, and from then onward, disappeared from his life. The Barthélemy couple, being childless, brought him up as their own child. It was only when Maurice was eleven years old that he discovered who his real parents were. This discovery very much affected that still fragile young man and left traces on his soul for the rest of his life. After a hard and short missionary life, he passed away in Caen, aged 32, out of touch with the White Fathers; he died in a home for the mentally ill, and was buried in the same family vault as his beloved ‘second mother’ at Langrune-sur-Mer. Contact with Therese at the Carmelite convent. 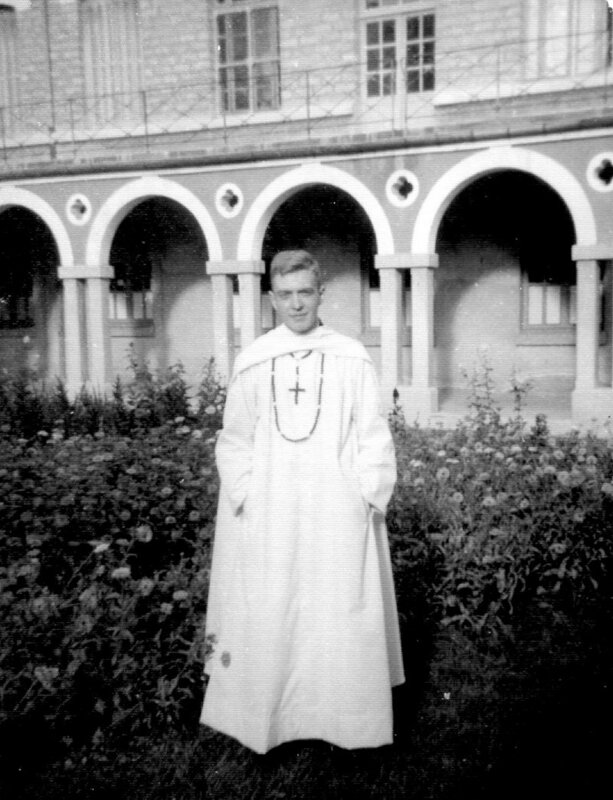 After his childhood years, he found little support during the time he spent at the seminary. During his youth he had to overcome many trials, and – as he says himself – “rode out many a storm”. He believed that he would have to live the rest of his life with the thought of having wasted his best years. Called up for military service and aware of his own frailty, he feared the worst for his priestly vocation. Bowed down under the weight of his sinful past and doubting his ability to stick it out, he wrote a letter to the Prioress of the Carmelite Convent at Lisieux begging her to – as he said – “entrust to the prayers of one of your sisters the salvation of my soul and to obtain for me the grace of remaining faithful to the vocation which I have received from God.” Young Therese, who had joined the Carmel at the age of 15, was chosen by the mother superior for that undertaking while doing the weekly laundry of the convent, indeed the humblest of daily tasks. In this way, Maurice, who was in his second year of theology at the Diocesan Seminary, received a lifebelt thrown to him by this Carmelite nun. That is how a spiritual friendship began between a moderately gifted man and an exceptionally gifted young contemplative sister. This simple young sister was soon to be known throughout the world by the name of “Little Flower” (1873-1897). Maurice and Therese never met, but their destiny united them very profoundly. Their correspondence, which started two years before the death of Therese, amounts to 21 letters and made an important addition to her spiritual autobiography, famous worldwide, as “The Story of a Soul,” which was published after her death in 1898. 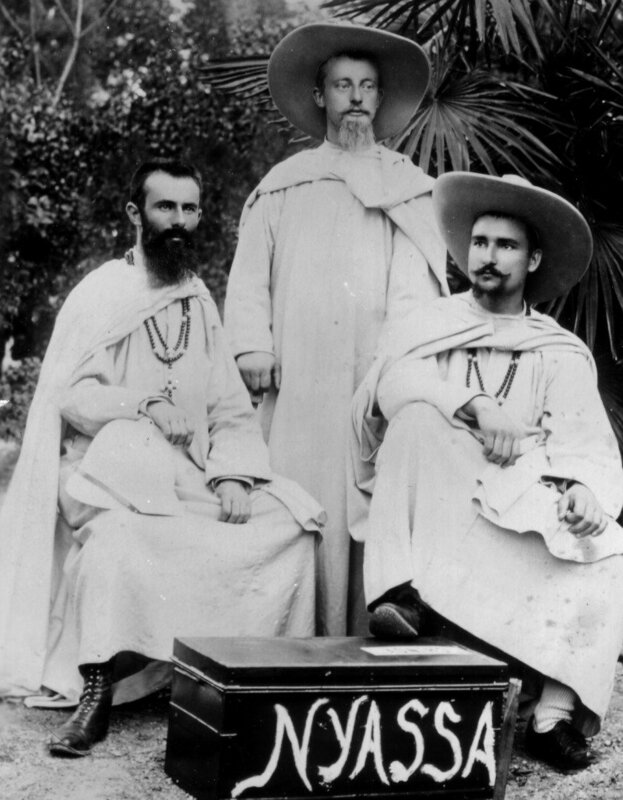 Maurice wanted to become a missionary and was accepted by the Society of the Missionaries of Africa, the White Fathers. His vocation generated a missionary desire in Therese also. Because of that missionary enthusiasm and no doubt also because of that exchange of letters with a missionary, – and one of us at that – the Church declared her Patron Saint of the Missions. We, White Fathers, can be rightly proud of that. Maurice was a man who, in many aspects, resembles each one of us, with his easily recognizable anxieties and his individual human limited abilities. 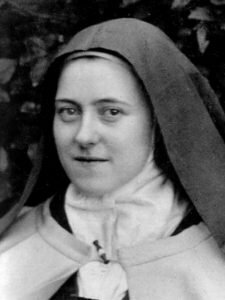 At the same time, we discover in her ten letters that Therese is a saint within everyone’s reach, but also that she is a truly mystical person, capable of spiritual friendship. Their friendship was formed around their common ideal, a shared desire for Christ’s love, simplicity and warmth. The friendship between a Doctor of the Church in spirituality and this young aspirant to the priesthood shows a mutual affection which does not shy away from words of tenderness. They call one another “little brother” and “little sister”. “Nothing profane disturbs the secret of our intimacy,” they themselves would say. He becomes for her the brother whom she never had, and she became for him the sister whom he missed. The story that emerges here deserves, in our opinion, to be known by all of Therese’s “little brothers” today, whether they are Missionaries of Africa already or aspirant-missionaries. They surely need these encouraging words. Therese was already seriously ill; the tuberculosis from which she suffered was already in an advanced stage and no remedy was yet available. In spite of that, she wrote magnificent letters to her unsure ‘little brother’ to encourage him in his vocation. The last word she sent him was a laborious scribble on the back of a communion certificate: “Final souvenir of a soul which is near.“ From her very first letter, she recalls the law which will dominate his future life, that is to say, the temptations and the trials, which necessarily accompany each apostle. He will have to learn to accept them. In this respect, Maurice’s letters sometimes express apt words and noble feelings, but Therese will try to take him further. He will have to let go of everything, following the example of Jesus: “You will have to suffer much”, she says. Her words carry a prophetic ring. Therese had realized very early on that priests were “men both frail and weak”. This seemed to be especially true in the case of Maurice, her brother/priest who, according to his own words: “had to regret many unheard-of stumbles and much foolishness”. But, as she writes: “No human frailty can be an obstacle to the preaching of the Gospel as long as the flame of love will burn at the heart of the Church”. Later on Maurice will reread these letters repeatedly and will even make a collection of its choice passages when studying in Carthage. Later on still, in Malawi, when already sick and rather discouraged, he certainly found in its message the remedy against despair. On the 30th September, 1897, Maurice embarked at Marseille to cross the Mediterranean to enter the novitiate of the White Fathers in North Africa. The same evening, Therese’s agony started after a long struggle against her illness. She too was now making her own crossing towards another life. Maurice and Therese “left together”. At this point, she fired the starting shot for a worldwide missionary expansion, the effects of which are still visible today all over Africa and the world. Possibly, Maurice did not perceive the prophetic significance of it, but their friendship remained for him “a great strength and a source of confidence…; from heaven, she watches over me; this, I feel clearly” he writes. When, at Carthage, in November 1898, he managed to be one of the first in the world to lay hands on Therese’s autobiography “The Story of a Soul”; he was elated. He had hardly completed reading the first part when he exclaimed: “Dieu est ici” (God is here!) He was to meditate on it for a long time and, in this way, from her writings, he will understand her better, she and “her Little Way”. Long before Maurice arrived in Africa, the White Fathers had courageously attempted to reach West Africa across the Sahara, where they had, as early as 1872, established their first outstation at Laghouat. In North Africa, Touareg guides had massacred six White Fathers. In Central Africa, in 1886, the first Christian communities emerged from the blood shed by the Uganda martyrs, after caravans of White Fathers reached that region by way of the Red Sea and Zanzibar. The Society at that time was still very young and with few members, but eleven of its members had already been murdered, and fifty-six had died prematurely because of sickness, fever and depravations of all kinds. In all they represented 29% of its young missionaries, only 19 years after the Society had been founded. The missionary undertakings of Cardinal Lavigerie could only happen under the sign of the cross. Therese of Lisieux would instil in him the same warning in her letter of June 1897, saying that with all his anxieties and contradictions, he could not be a half saint: “You are a saint fully and completely or you are not a saint at all!” She knew his desire for holiness and even for martyrdom and would not think that this desire was presumptuous. The novitiate of Maison-Carrée was ten kilometres away from the port of Algiers. This is where Maurice lived until August 1898. He almost instantly fell in love with Africa and was at ease with his fifty co-novices coming from several countries. 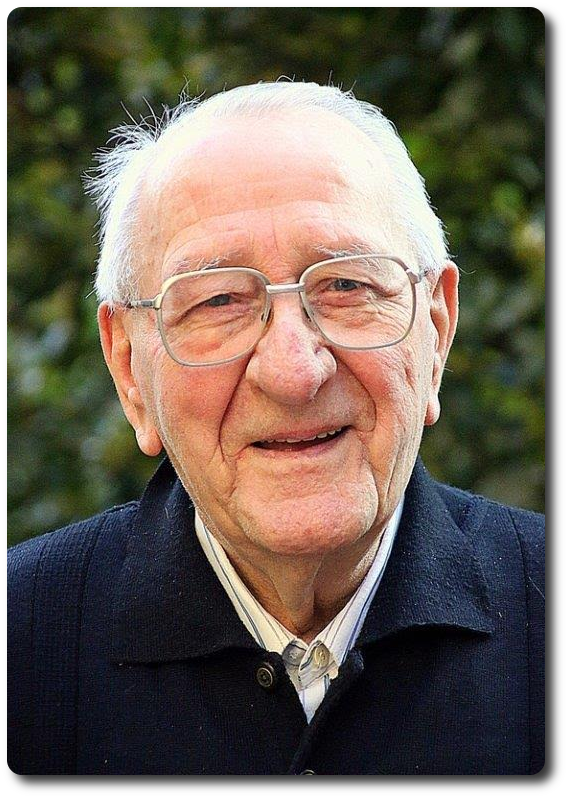 Bishop Livinhac, the Superior General, whom he met there, was goodness itself and displayed a profound humanity. He had been a member of the first heroic caravans towards the Great Lakes and he had founded the first mission in Uganda in 1879. He became the first White Father Bishop in 1884 and the first Vicar General of the Society in 1889. Maurice worked alongside him as his first private secretary because of his knowledge of English. Later, at the time of his dark hours from 1905-1906, he found in Livinhac an understanding father. His novice master was Father Paul Voillard, 37 years old, quite a different type of man to Livinhac; he had sharp and piercing eyes with a fiery temperament. In spite of that, he would make a profound impression on people. Inspired by the spirituality of St Ignatius, he would lead his little flock seriously with encouraging words and with contagious enthusiasm. 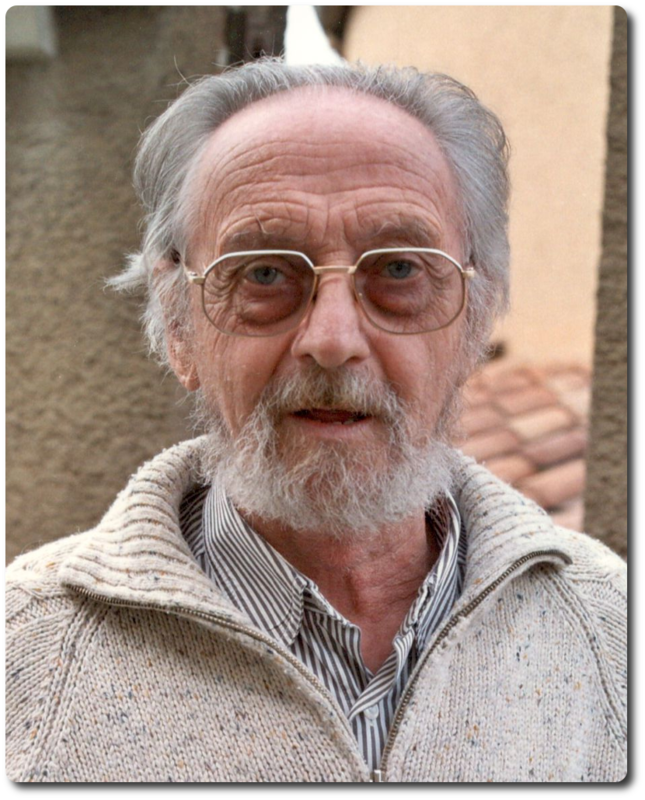 At that time, Voillard was also contacted by the Blessed Charles de Foucauld to be his spiritual counsellor. This is how Maurice could stand alongside this ‘Hermit of the Sahara’ for a full week. Sometime later, in 1916, de Foucauld was murdered by Bedouins at Tamanrasset. Father Voillard became the second Superior General of the Society. In North Africa, close to Livinhac and Voillard, Maurice was in good hands. In 1902, the British Colonial Administration was transferred to Lilongwe, and consequently the mission post of Chiwamba was closed because it was thought to be a good thing if the mission were sufficiently near the colonial administration. Thus the new post of Likuni was founded in November 1904, about eight kilometres from Lilongwe. Maurice, because of his knowledge of English, was appointed superior of this new post. The same year, Bishop Joseph Dupont (+1930) returned from France and soon started to visit the various posts of his Nyasa Vicariate, in the company of Maurice, his secretary. The nickname ‘Motomoto,’ which Bishop Dupont had been given by the Africans, was apt: ‘moto’ means ‘fire’ and to double up the word meant a superlative, ‘a blazing fire.’ ‘Accendatur’ meaning, ‘may it burn’ was, in fact, the motto of Bishop Dupont. Later on, Maurice would have to suffer quite a bit from that fiery character. He travelled with his Bishop through the land of the Bemba people, Lake Bangweolo and the Luangwa valley which Father (later Bishop) Mathurin Guillemé (+1942) described as ‘a country without much appeal’. He reports that he and his colleagues were exhausted by the intense heat and dehydrated by thirst… clouds of mosquitoes gave them no respite… they were woken by the laugh of hyenas and the roar of the lions. Under those trying circumstances, daily efforts would cost those missionaries a lot. In 1903, Maurice wrote a letter to a priest-friend in France. He told him that he was suffering from black-water fever, a reduced but most dangerous kind of malaria; the urine becomes dark and death follows quickly. Maurice knew this and expected to die. However, he survived, because it was diagnosed in time and he got the necessary drugs that were available at the time. Soon he was active again, though in the diaries one does not find much information about his daily pastoral activities. Moreover, Maurice himself does not write much on that subject. Opinions from Nyasaland concerning him were fragmentary. We know that he clashed with a confrère who, himself, had serious health problems and was suffering from depression. On the contrary, the Dutch brother, Sebastian, who was keeping the diary of Likuni, was always full of praises for Maurice. Maurice himself was divided between, on the one hand, the humility which Theresa had instilled in him and, on the other, his pride in speaking English and of his worldly ambitions, dating back to his military career. He did not get on well with his confrères. Bishop Dupont himself was not an easy man because of his bouts of gout and was a demanding and severe superior. He could be very hard on Maurice and demanded much from his men. That, as well as his clashes with his confreres led Maurice to the brink of total discouragement. After eight years, in October 1905, Maurice decided to leave Africa, a broken man. He went to Maison-Carrée to “lay down his arms” at the feet of his old Superior and good friend Bishop Livinhac. He had all the letters of Therese with him, and also the first version of ‘L’Histoire d’une Âme’ with a photograph of her in an oval frame. On the reverse, he had written out a prayer which he had received from Therese: “I ask of you, O Jesus, a heart that loves you, a heart that cannot be overcome, prepared to resume the fight after each storm, a heart that is free and does not allow itself to be seduced, a heart that is straight and does not follow crooked ways.” He was about to enter a dead end. Therese – and also Cardinal Lavigerie – had predicted it, he was about to ascend his own Calvary. Already in 1903, he had caught black-water fever and sleeping sickness and he had suffered from kidney problems which, possibly, affected his brain and sometimes left him confused. Because of all that, his confreres thought that he was no longer fully responsible for his actions. Moreover, because he had left his field of apostolate without the permission of his superiors, he was called to come and report to the General Council after his arrival in Europe. His answers did not satisfy them, but he was not severely punished. On the contrary, he received the order to go back to his mission. However, because he continued to suffer from bouts of fever, his doctor thought that a return to his mission would constitute a serious health hazard. wandered around aimlessly and one day was found by his priest-friend, Father Adam, who placed him in an institute for the mentally ill in Caen. This is where he died on the 14th July 1907, five weeks after his 33rd birthday. In the old days, these institutions were cruelly called: ‘madhouses”. For Therese, this word would also be a knife blow to her heart. Indeed, it is in such an institution that her own father was admitted and died after three-and-a-half years. How much more would she have suffered had she known about the last days of her beloved little brother Maurice? The tombstone formerly sunken at an angle and covered with moss, at Langrune-sur-Mer, has given way to a beautiful funerary monument on which one can read the entry:”Maurice Bellière, spiritual brother and protégé of Saint Therese.” It is a moving epitaph! The exchange of letters between him and Theresa has taken him out of oblivion and has made him worthy of a title of precious greatness. Little Saint Therese has revealed to us that God does not ask for more than what we can give. To entrust oneself to God who is “nothing but Love and Tenderness”, this is what she asked from Maurice. His life may have seemed to end in apparent failure; his ideal was great and his dreams boundless. All things considered, his end was certainly not a failure. It is an option “which has the mark of good judgement” and which aims to be around for a long time. That is the plan. I now submit the details for the scrutiny of confreres especially the younger ones. Giving bread to poor people or offering them a few coins, paying school fees, are all honourable reactions to the needs of people we know in the circumstances of our apostolate. We have all done so in one form or another. The recipients will be very grateful and they will call down God’s blessings on the good benefactor and may even decide to return and visit him from time to time when they need more help because they will always need more help. However, what happens when, one day, the benefactor leaves? Thinking about this, I can imagine another way of helping people. It would be something well thought-out, more efficient, with the dream of resolving at least part of the problem in the very long term. I dream of an option, of a commitment, that mobilises the whole Society as one, with the firm resolve to effectively relieve the burden of poverty. It would also give those who cannot help themselves anymore, the power to retake control of their lives and to break the vicious circle of poverty, while retaining their human dignity. 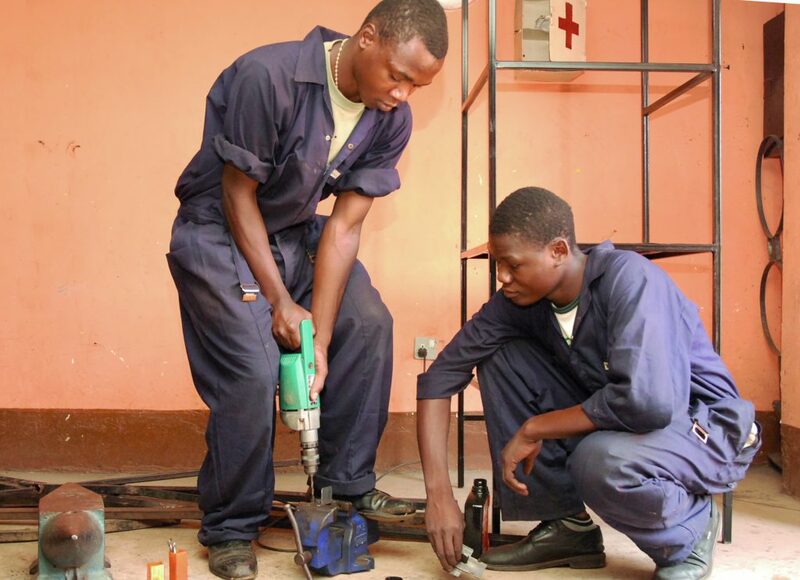 If two three or five confreres, after a community consultation process, came together to see how they could serve the people better, then they, through their own solidarity, can engage the solidarity of the Society and start a small trade school for example. It would not matter if those helped were Christians, Muslims, Hindus, Buddhists, African Traditional Religion. By training the young people in the area, they would move beyond their own circle of ‘fans.’ They would give the young people the skills to help them participate in the development of their country and make a living at the same time. This is liberation because they are no longer under the stigma of a poverty they did not choose. I feel deeply that what we have always wanted to say is ‘empowerment’, which is awkwardly translated in French as ‘capacitation’. This aims to open up the possibility for somebody or a group of people to develop themselves through self-improvement and at the same time improving their immediate environment. Training is a very effective way of bringing about this empowerment. To teach poor people to get the best out of their environment thanks to adapted agricultural techniques (agricultural school), to train young people in a village to build decent and solid houses which improve living conditions and to make a living by working as masons, carpenters, mechanics, electricians, and tailors. The people going to work in these areas will develop their region and achieve a better quality of life for their family. What we will then miss is the queue of people sitting in our offices asking for help and sometimes submitting to our reprimands because they have no choice if they are going to get a few pennies from us. Why do I insist on trade schools? Because there is a cruel lack of well-trained young people with these basic skills in many of the countries where we are present in Africa. This directly affects all development. Chinese businesses and projects even bring their own Chinese workers. Sometimes businesses find it difficult to find qualified workers to carry out infrastructure and basic works such as plastering or plumbing. Vocational or trade schools are rare and the Universities, who are only producing semi-intellectuals, are proliferating. Thousands of graduates are thrown onto the work place and they are not qualified for anything. If this state of things continues, Africa risks falling back into under development. This is not good news. If Providence has ordained that some gifts have passed through our hands, if we are really committed to the Proclamation of the Good News in Africa, then we can participate in the “miracle of charity” by choosing to help the poor in the most efficient way. We can dream of how we can help them become agents of their own well-being and even their own happiness. We may not be able to eradicate poverty, which has existed since the dawn of time. On the other hand, we have proof that the lives of some peoples have clearly improved over the last number of decades despite having experienced periods of extreme poverty. Do we not have confreres who give because they themselves suffered a lot from poverty and now they have made the choice to let the poor profit from the generosity of their benefactors? These are noble sentiments. However, the result is not always what is intended because it creates an attitude of dependency and it is easy to make friends with the money of the benefactors. For us, Missionaries of Africa, “the preferential option for the poor” could be best served, as the Treasurer General has proposed, by an internal Office for Development. It would help us to put forward community projects, which would really help the poor thanks to a judicious discernment of the projects we want to carry out. This would also involve an impact report on the project. We would gain because we are doing things together. The outcome would respect the dignity of people and have a lasting impact on their milieu. It is one thing to have money; it is another thing to know how to use it well! We need to be daring, taking a risk to do things differently even if that will deprive us of personal “success.” What is within our reach is showing our good intentions for the poor we want to help. That is the best “preferential option for the poor.” There are many confreres who have good ideas and who are ready to share them. There are also those who receive a lot and who would like to do something good which is sustainable and which lasts. What we have to do is to be open to one another and exchange ideas frankly, even if it means talking about money. Where are we going to find personnel for these “lovely projects”? This false question will lead us to a false answer. With whom can we do it? It will certainly involve a combined effort among ourselves. A confrere to whom I submitted this text told me, “Beginning a school for the poor or a training centre will require regular resources, and what if one does not have them?” So then, let us not start from here. However, that does not stop us from looking for resources if we know people or organisations that could help us efficiently. The basic idea is to use wisely and rationally all those resources and make them a tool of the apostolate fot the Society as a whole rather than letting them remain in the hands of individuals. To your pens, give us your ideas; tell us of your experiences. This question came top of the list of some of the suggestions made to me when I was asked to write an article in the Petit Echo to celebrate the 150th Anniversary of our foundation. 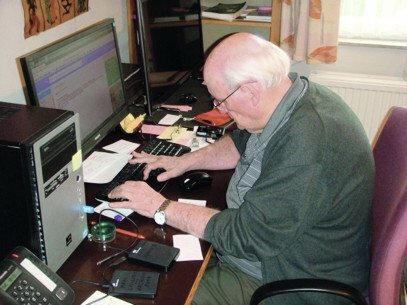 At my age, why do I spend most of the day with my eyes glued to my computer? Why, at my time of life, juggle all these photos, doing my best to get software programmes such as ‘Power Point’ and ‘Movie Maker’ to digest them? According to the traditional formula of the death notices of confreres, I am 76 years of age of which 40 years of missionary life in Tanzania. The question, “at your age?” should not imply that “it’s no longer an age for” or “you should not be embarking on such adventures when you are beginning to disintegrate.” Is it so extraordinary to be doing missionary promotion work in the final years of one’s life? Missionary today, missionary always, did we not learn that at the novitiate? Sometimes, I have the impression that some of our young confreres look on me as if I had escaped from Jurassic Park! Me, I am still young especially when I find myself in the middle of a pile of photos making a video that will allow us to relive the sagas of our young and old missionaries, past and present. I believe that I caught the missionary vocation promotion bug from the very beginning of my White Fathers’ career. I love photography and I often strolled around the streets of Bruxelles with my camera in my pocket. To sleep well at night, before I go to bed, I slowly read some comic books. I also look at ‘You Tube’ regularly, my favourite films being Charlie Chaplin, Laurel and Hardy and of course a good western from time to time. Lavigerie understood very well the importance of the written media and the power of photography for the future of the mission. In the bric-a-brac of the first caravans, he insisted that the confreres take with them those curious cameras of ancient times. They were funny black accordion-shaped boxes mounted on tripods and equipped with a black umbrella (watch out for sunlight). The idea was that if you want help from benefactors, send us pictures that tell us what you are doing. Let us interest the people of our own countries in our work in Africa. The maxim of our founder was followed. Deo Gratias. If we want to recruit, let us show our apostolate through remarkable pictures. The young people of the time of our Founder were hooked thanks to the astounding snapshots (made with glass negatives) produced by these antiquated cameras. The photographs of our bearded confreres perched precariously on the back of a camel or a stubborn donkey were all the rage at the time. In my own case, it was a film in the style of BIZIMANA of the celebrated Fr. Roger De Vloo (+1993) which introduced me to the White Fathers. In the 80s, I spent four years in Belgium doing missionary promotion work aimed at young people. At that time, it was still the era of the slide-show. We did not know anything about videos as a tool for promotion work. However, it would not be long before the age of the video arrived. I was 40 years old and I wandered all over the country with my projector and slide show. There were also photographic exhibitions based on the photos which appeared in our magazine Vivant Univers. During the summer holidays of 1988 about fifteen young people from my home parish came with me to Tanzania to spend a month in our missions. 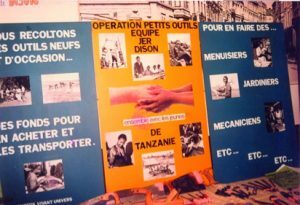 It was called Operation PETITS OUTILS or SMALL TOOLS and it was an unforgettable adventure. In brief, I did not wait for old age to arrive to launch myself into the adventurous world of modern media. 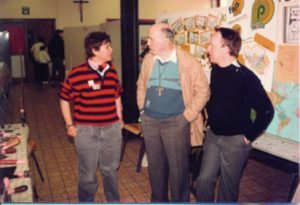 Verviers:1986 Missionary Exhibition for young people. It was only when I returned from Tanzania in 2006 that I worked at a computer. I was appointed to Namur to look after our house at La Plante. A kindly confrere initiated me into the secrets of computing. One of my own brothers introduced me to the labyrinth of Powerpoint possibilities. For the rest, I just got on with it: it is by forging that one becomes a blacksmith. As La Plante was where the Photos-Service was located, it meant that the photographic archive of Vivant Univers/Vivant Afrique was easily available and all I had to do was to dip into it. Thanks to Gus Beeckmans for his incredible work of digitalising the archive and to Vincent de Decker (+1988) for his famous photographs. Thanks to Powerpoint software programmes, I began by illustrating the psalms and parables as an aid to prayer. I produced different presentations featuring our annual celebrations and various other occasions. For the 125th Anniversary of the Anti-Slavery Campaign of Cardinal Lavigerie, I produced a series of videos at the request of Richard Nyombi, some in English, some in French and even some in Swahili. I did the same thing for some Justice and Peace events. When discussions began around the subject of the 150th Anniversary of our foundation, the first digital versions of the very old films of Fr. De Vloo (Africa Films) became available. The idea then came to me to put all this to music and to produce cinema standard videos. It worked! Philippe Docq put them out on YOU TUBE. All that, at my age, for missionary promotion. The years have passed like a gust of wind. At the end of my mandate in Namur, I was appointed to Bruxelles, rue de Linthout. It is from there that I am writing this article. From time to time, I go to Rome to give Dominic Arneault, our archivist, a helping hand. I work in the photo library surrounded by the most beautiful visual souvenirs of our Society, a real paradise! Our job is to digitalise all the old photos and bring them out from obscurity and put them at the disposition of all. It is a truly worthwhile programme for our 150th Anniversary. My work in the archives and the production of videos does not mean that I am a computer geek. For me, it leads me regularly to prayers of praise and meditation. What our ancestors (men and women), these pioneers of a heroic time accomplished still inspires me. Looking at these old films and these old photographs, I regularly think of them; the poor means at their disposal, their apostolic zeal, their love for the African people and their devotion to the most vulnerable. Pope Francis keeps reminding us, time and time again, of our duty to go to the margins of the world, leave our safe zone, and care for the poorest. There is nothing new under the sun! Our ancestors long before Francis followed this road to the peripheries. Our forebears, Fathers, Brothers and Sisters did not have a smartphone to capture the news at a glance, as everyone does today. Luckily for us, coming behind them, they left photos and films from the very first days of the mission: unique testimonies of their faith in Jesus Christ. What I hope is that we do not allow these marvels of the Gospel to rot on the shelves of our archives. Now that the best of these films and photos have been digitised, I recommend that those in charge of our Formation Houses make use of them in order to show our young men what it was like to be a missionary way back then. All that needs to be done would be to show a little video, from time to time, just to illustrate a history lesson on our Missionary Society. Let us also profit from the occasion of the 150th Anniversary of our institute to share these media stories with our African friends. I am sure they would be enchanted, as they were at Ouagadougou for example, to see the magnificent film of Fr. De Vloo’s incredible report in 1956 on the consecration of Bishop Yougbaré, the first Bishop from Burkina Faso. 50 years ago, on the 24th June 1967, the Feast of St. John the Baptist, I took my first Missionary Oath in the novitiate of Gap in France. Two further temporary commitments followed before I took my permanent Missionary Oath on Holy Thursday, 1972 in my native parish of Chaville. All had begun in October 1964 when I entered the postulancy of the Missionaries of Africa in Mours. I had just finished my studies at the Ecole d’Optique de Paris (EOA) with a view to becoming an optician. However, I was already in contact with the Missionaries of Africa in Paris. Africa was calling me! I was encouraged to train for the priesthood but I preferred to begin my missionary life as a Brother in order to give myself some time to think about it. I had no experience of seminary life and I felt that I needed to learn more about what was involved. I also wanted to have an African immersion and know if I could live there as my health was never very strong. 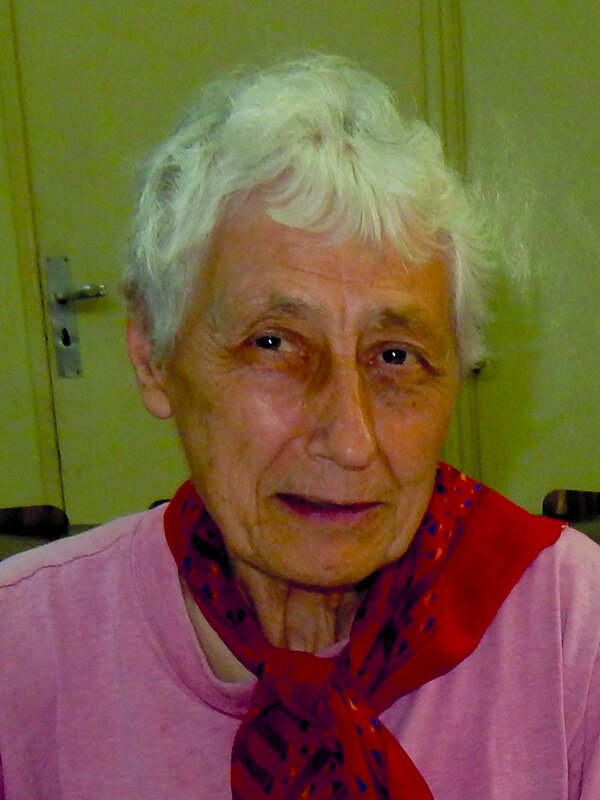 On the 11th September 1965, I took another leap when I entered the novitiate in Gap high up in the French Alps. 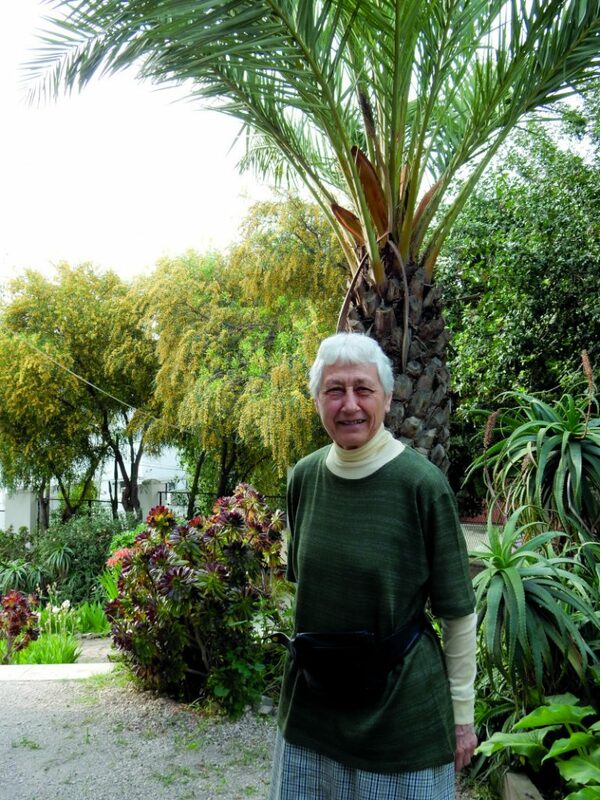 It was a change of scenery in more ways than one; the place itself was completely different from any other place where I had lived and then there was the almost monastic atmosphere of the novitiate itself. I stayed there for two years and it was a real spiritual experience. However military service loomed, so I opted to do it as an overseas volunteer and planned to go to Mali for two years to work as a primary school teacher in the Diocese of San. The climate and political situation at the time of Moussa Traoré’s coup d’état in 1968 was a seriously testing time for me. In fact, it was proposed that I continue my studies in Strasbourg instead. I then returned to Mali, still as a Brother and taught for three years at Saint Paul’s Junior Seminary in San Diocese. It was during this time in Mali that, in consultation with my Spiritual Director, I decided to resume my studies with a view to becoming a priest. I felt ready. It was also a delicate time for the Church in France, as, after Vatican II, many priests were leaving the ordained ministry. My superiors, at the time, proposed that I prepare for the priesthood by studying at CERM (Centre d’Études et de Recherches Missionnaires). This centre was one of the first missionary consortia which came into being as a result of the Council. The Centre accepted students from the Paris Foreign Missions, Salesians, Montfort Fathers, Spiritans, and the SMA Fathers and some other groups. I was the first White Father to prepare for the priesthood in this Institute. We followed courses at the Institute Catholique de Paris, the Seminary of the Paris Foreign Missions on rue de Bac and the Major Seminary of St-Sulpice d’Issy les Moulineaux. 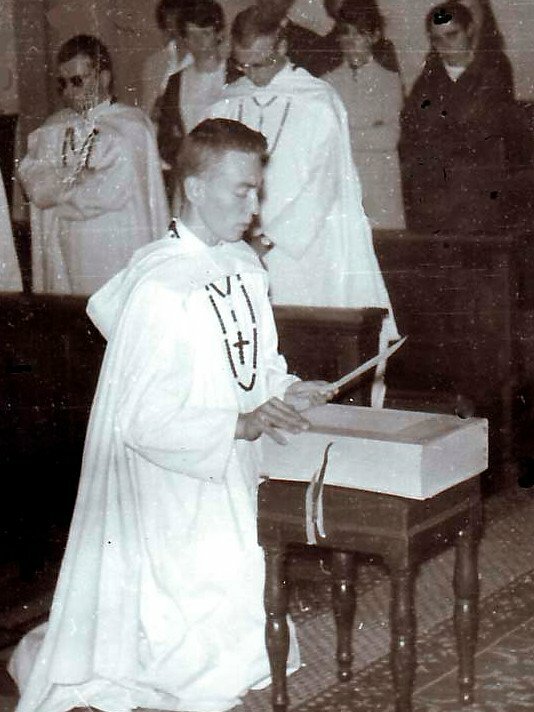 After three years of intensive study, I was ordained deacon in June 1977 at Boulogne Billancourt by Bishop Jacques Delarue, the first Bishop of Nanterre. He proposed that I receive a double incardination on this occasion to show that it was my home Church that was sending me on mission. A year later, in the Church where I was baptized, confirmed and took my Missionary Oath, I was ordained priest on the 28th May 1978. After ordination, I returned to the Diocese of San in Mali to work in the parish of Mandiakuy. I learnt Bomu and got acquainted with pastoral work. It was at this moment that the Équipes Notre Dame, a movement promoting family spirituality was started. The movement soon extended to many dioceses in Mali including Segou, Bamako and Kayes. After this initial pastoral experience, I was asked to return to the Junior Seminary of St. Paul to take charge and to facilitate handing it over to the local clergy. I stayed there for five years. In 1988, the French Province appointed me to Toulouse in the south of France for missionary promotion work. I did not know this big city and began by getting lost. One night, I spent many hours looking for the house. 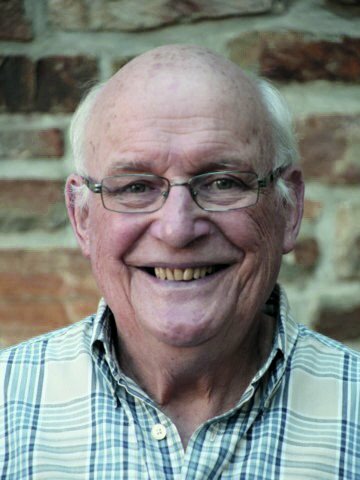 I worked for five years at the service of the Pontifical Mission Societies and got to know the pastoral situation of the Church in the south of France. Between the end of my stint promoting missions and my return to Mali, I was asked to do some training in media, specifically the setting up of a rural radio station in San Diocese. For a whole year, I learnt about computers, information technology and just how to go about getting a radio station started. It was a completely new domain for me and I threw myself into it enthusiastically. I worked on this project for six years. It was the first private Catholic radio station in Mali. Three of us were involved; Fr. Alexis Dembélé, the Director, a layman who trained at the Centre for Research and Education in Communication in Lyon and myself who had trained in Paris. It was not very easy in the beginning but we did eventually reach our cruising speed and Radio Parana is still going strong and in 2019 will celebrate its 25th birthday. In 2000, I was granted some sabbatical time out, which I intended to organise as I pleased. However, I was asked to immerse myself in Ignatian Spirituality at a centre in Paris so as to be able to organise retreats and to spiritually accompany people. From there, I was sent to Jerusalem to be a spiritual director at a retreat for French speaking African priests. Then I was asked to move to the Archdiocese of Bamako to collaborate with Josef Stamer at setting up the Centre Foi et Rencontre and IFIC. I worked for 10 years on this project, bringing my expertise in IT and the logistics of planning training courses at the Centre. I also helped with the launching of IFIC. It required a huge effort of communication as we looked for ways to inform all the French speaking Bishops of Africa. During this period also, I served as Provincial Secretary of Mali and participated, at the same time, in the whole process that eventually led to the creation of the Province of the PAO for Francophone West Africa. 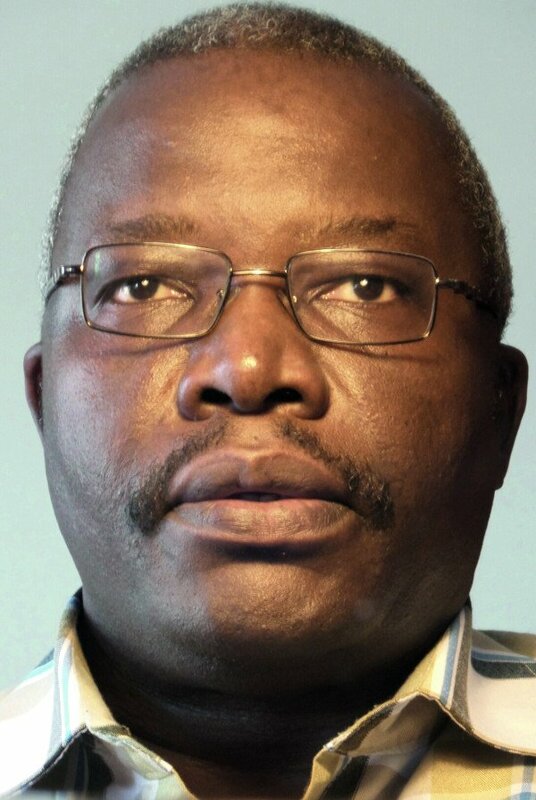 In 2011, I was asked to replace Pierre Bènè as Provincial Secretary of PAO based in Ouagadougou, Burkina Faso. This is where I find myself today and I am already in my 7th years at the service of the Province. What can I say about these 50 years of missionary service, in Mali, France and Burkina Faso (40 years in Mali and 7 in Burkina)? First of all, I would to like express my sincere appreciation. I consider myself very lucky. All the appointments I received, some of which I did not expect at all, have greatly enriched me. Really the Society took care of me and despite a path that some will call “a bit of a mix and match”, I was advised with great skill and offered what I could do. I was trusted and I am very grateful to all my superiors. Maybe I could have done more but they knew how to take me as I am with the abilities that were mine, without pushing me too much. I do not have in my C.V any grandiose constructions, top jobs, great responsibilities… I’ve always preferred – and I think it suits me better – less senior positions where I can work more effectively. I never asked for a specific appointment. I preferred to let the Spirit call me and lead me where he believed I would be best able to serve the Mission but not in a passive compliant way. My missionary journey, first as a brother and then as a priest, did not represent any promotion whatsoever for me. It was the mission that mattered and the call to give the best service I could, so that the Good News would find its way to the peoples of Africa there where I was to be sent. That is why my first Missionary Oath in 1967, 50 years ago, really corresponded to the yes I wanted to say to the Lord for his Mission in Africa. What followed was a vocation that developed in my response to the various calls I heard and that had been verified by those who accompanied me. At the end of these fifty years I say a sincere thank you to all those who supported me in one way or another, to all those with whom I shared missionary work, those who supported me despite all my shortcomings, in community life and to all those who became my brothers in this wonderful family that is the Missionaries of Africa. To the Lord Jesus, always my companion on the road, to his Mother who looked after me so well, I express my sincere gratitude. In 2015, I swapped the school activity that occupied me from morning to night with a much more flexible responsibility at the Centre for Arabic Dialectal Studies. Then, I was offered an opportunity to take part in the Transition Session for Missionaries of Africa and Missionary Sisters of Our Lady of Africa in Rome due to begin in September 2016. I immediately accepted feeling a bit confused that after 3/4 of a century of life, I still had a lot to learn! Indeed it was to be a turning point. It was a new experience as I found myself with a group of MSOLA whom I had known way back in my early years of training. We were all of the same generation. While in a school one does not feel old because one group of young people is replaced by another every year but now I expressed the surprise I felt at the time, “But I am the same age as my mother!” It provoked me into looking at my future. It was a new experience for me to stand before my ‘future’ when I thought I had gained a lot of ‘experience’ in life. As St. Paul says: “I continue my pursuit towards the goal…in Christ Jesus” (Phil 3, 14). So I was happy with this time of reviewing, prayer, reflection and sharing, especially working in small groups where there was a richness of diversity among the M.Afr and MSOLA participants. In this we perceived the wonders of God and His discreet but active presence in our hearts according to the different missions and circumstances of life, all done in an atmosphere of peace, rest and leisure with the help of our experienced guides. I seized the moment of grace when it presented itself! What could I wish for now? Now, the Lord has offered me this year (2017) to live near my older sisters and to know them better. Their smile, their patience, their fidelity to prayer, their love of Africa, their missionary zeal… and their joy… in a setting that seems austere to me after a life of activity and relationships. 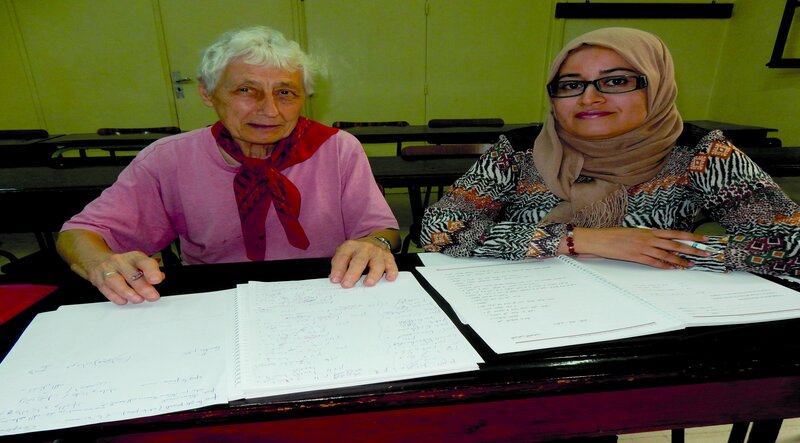 Melika with Massika (training of an instructor at the Centre for Arabic Dialectal Studies). At the Centre where I am now, my activities are more adapted to my strengths. I still feel ‘in transition.’ But I recognise the need to persevere. I do a little mental exercise: I try to project myself into the future and ask myself: What do I need to change? What help should I look for? What is life like in this new nursing home environment? What qualities does this new “novitiate” demand of me? I am no longer living in the framework of a classic community; my daily life is now shared with laypeople. At first, it is good to keep in contact with the world, discover the ‘peripheries’ nearby. Yes, discovering a new field of apostolate can motivate me, but I still need to prepare myself for it. Will there be others in the same situation ready to share our difficulties and doubts? Not all nursing homes are the same. Adaptation is necessary. What is the Lord asking me in this situation? By faith, we know He is there! But a great deal of spiritual help is needed to accept daily life and its annoyances, to maintain the availability, the generosity and the good mood! A lot will depend on how I coped with the previous stages of my life. And let us not forget the joys and happiness of so many decades. May God be blessed!